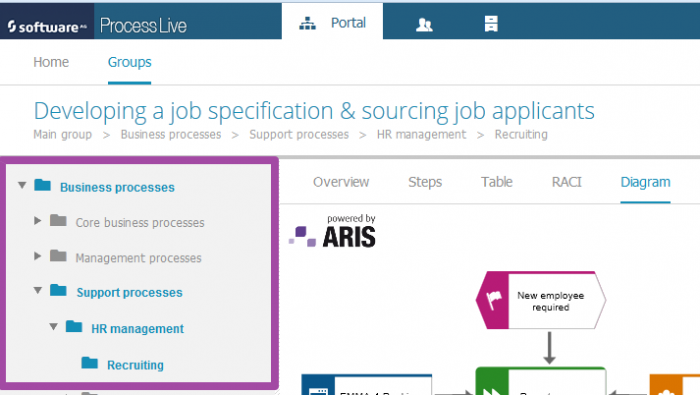 Today I would like to introduce the new look and feel of Process Live 9.6. We improved the portal view to make it more convenient for you to work with it. You can now easily hide and show the navigation panel and the attribute section. And to hide the Attributes or Comment section, click the icons next to the navigation field. Besides improving the flipping navigation and attributes section, we also made it easier to navigate through process content. You can now see the navigation on the left to know which process level you are currently browsing. In my next blog post I will show you what we did to make your work with document uploads more comfortable.